This is a recipe for old-fashioned Southern watermelon rind pickles. Watermelon rinds are actually pretty healthy. They contain a variety of vitamins, magnesium and potassium. 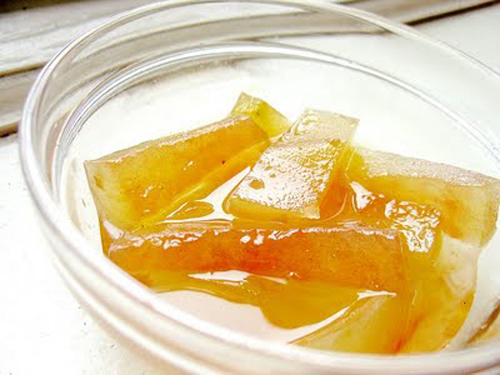 Watermelon rind pickles taste sweet, sour and spicy. In addition to watermelon rind, the recipe uses sea salt, sugar, vinegar and a variety of spices. After cooking the watermelon rind pickles, you can either refrigerate them for up to 2 weeks or can them. Click on the Homemade Southern Watermelon Rind Pickles Recipe link below for the complete recipe.